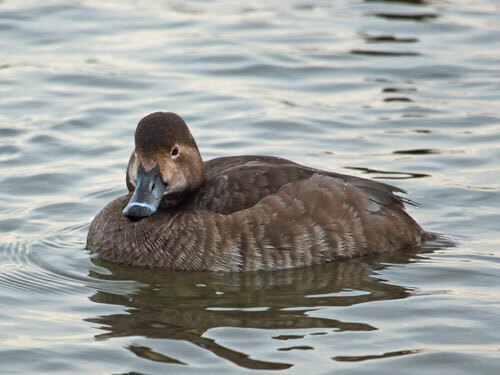 The redhead is one of several diving ducks that winter in the Chesapeake Bay. Redheads resemble other diving ducks, especially canvasbacks and scaup. 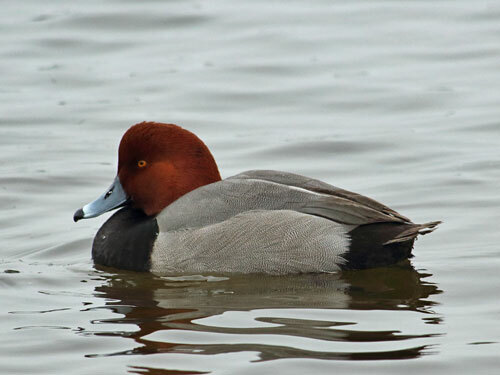 Redhead drakes are recognized by their reddish-brown head, distinctive bill coloration, black front, silver mid-section, gray wings, and dark rump. Redhead hens are chestnut brown with dark backs. Their three-colored bill is similar to drakes.